The Oukitel Mix 2 is an 18:9 aspect ratio smartphone featuring a bezel-less design alongside a widescreen space in a well constructed solid build. Aside from offering an almost tri bezel-less design and large screen size, the smartphone also comes with a decent hardware setup. So much so that it is often compared to the Xiaomi Mix 2 has a cheaper alternative since they both share some similarities. Let’s find out. 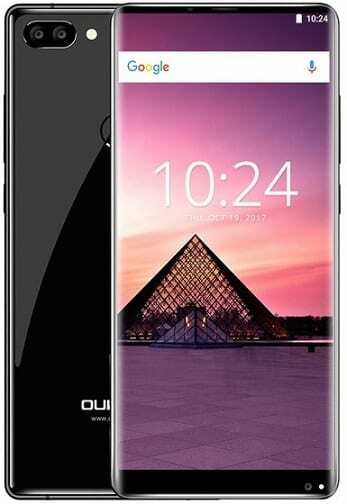 The Oukitel Mix 2 is a real beauty to behold featuring a simple elegant design with a front and back panel made of Corning Gorilla Glass 4, the smartphone speaks quality all over. Bezel-less smartphones have this alluring effect on the eye and the Oukitel Mix 2 is not different having no side bezels with the top bezel greatly reduced the smartphone has nice aesthetics in general. There is a lot of screen space on the Oukitel Mix 2 thanks to the highly reduced bezels and the large screen size. The smartphone sports a 5.99-inch 2160 x 1080 pixel IPS LCD screen alongside a pixel density of 403 ppi while featuring the 18:9 aspect ratio. Aside from the bezel-less and 18:9 aspect ratio trend the Oukitel Mix 2 also comes with a dual camera setup which seems to be the norm among Chinese smartphone makers nowadays. The smartphone features a 16MP main camera and 2MP secondary dual camera combo at the back while the front camera bears a 13MP sensor for taking beautiful selfies. There’s a lot of juice in the Oukitel Mix 2 has it packs a decent battery capacity more than its other high end counterpart it is often compared to with a 4, 080mAh non-removable Li-Po battery. This is more than the average battery capacity most phone comes with. 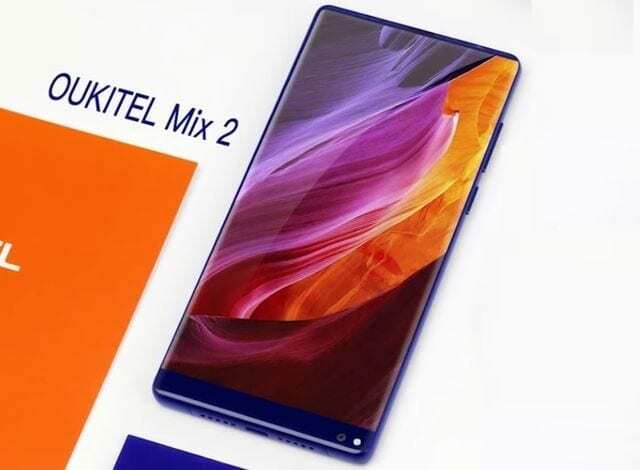 Oukitel Mix 2 feature one of the most powerful SoC from Mediatek which is their Helio P25 chip, the smartphone sports MediaTek’s MT6757CH Octa-core processor that clocks at a maximum of 2.39GHz alongside an ARM Mali-T880 MP2 GPU. This is a fairly powerful setup here and should be able to deliver a smooth performance and provide the near high-end experience you are looking for. Oukitel Mix 2 also offers an impressive 6GB RAM space and 64GB built-in storage which comes in handy when you love opening lots of applications at the same time. You can easily resume any app you opened earlier without any glitch and also store a whole of files thanks to the large storage which can also be extended to 512GB using a MicroSD card. In addition, Oukitel Mix 2 runs the recent Android 7.0 Nougat straight out of the box. In Nigeria, the Oukitel Mix 2 is available nation wide in prominent gadget stores and you could also order online at various online shopping centres for a price ranging from 80,000 Naira to 120,000 Naira depending on the deal and shipping fee to your location.